MOULDING DIGITAL WRITERS: It should come as no surprise Tumblr is arguably the top blogging site for 13-18 year-olds. Its simple "reblog" feature makes it easy to participate in the blogging process; its Reddit-style approach to censorship provides a no-holds barred forum for teens to act up while parents and teachers are busy policing Facebook and Twitter. But another reason for Tumblr's success may be that the site's bloggers rarely write words. Instead the site is dominated by memes, images, and animated GIFs. Those awesome Langwitch bloggers, Silvia Rosenthal Tolisano and Andrea Hernandez, have set out to change that trend by building a "'spiraling blogging skills guide for each grade level." The intent, writes Tolisano, is to "redefine and transform" the writing process. Research papers? Eh, maybe. Succinct messages to a global audience? Awesome. 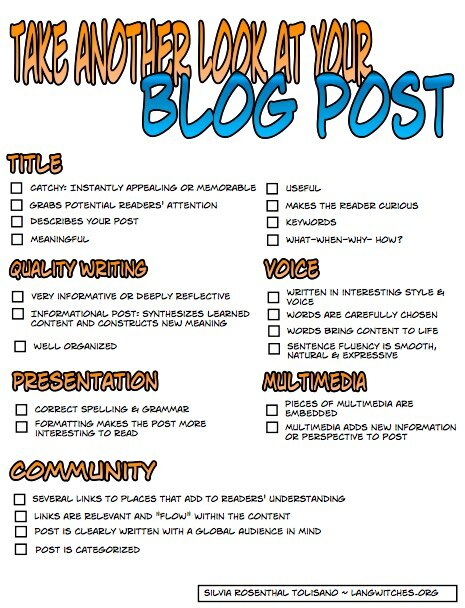 No word on when and where to expect the guide, but there is a handy "Take Another Look at Your Blog Post" checklist to get students started today.